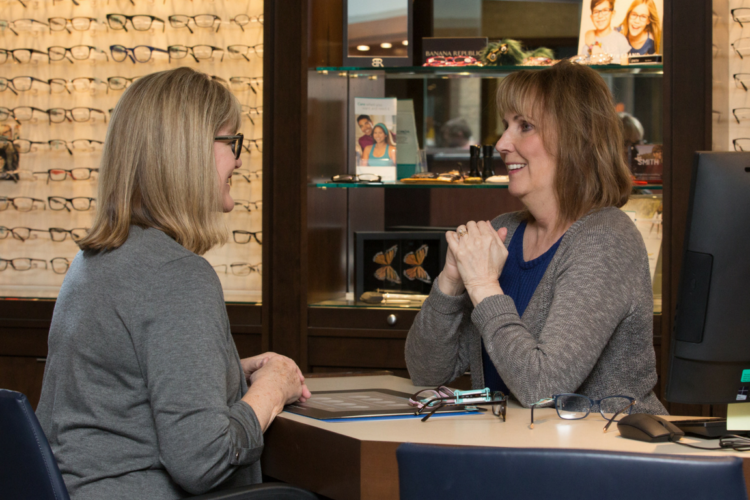 Our collaborative team of ophthalmology, optometry, opticians, ophthalmic technicians, and patient counselors wants to be your preferred choice for comprehensive eye care. 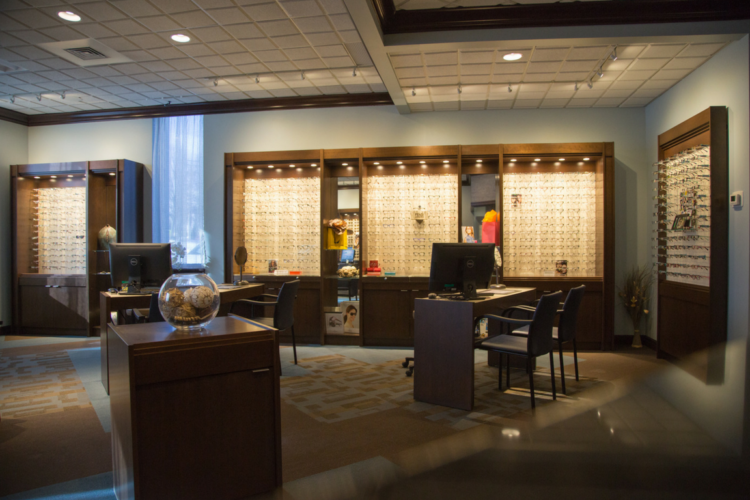 We are equipped and eager to provide you with medical, vision, optical, surgical, and cosmetic solutions. 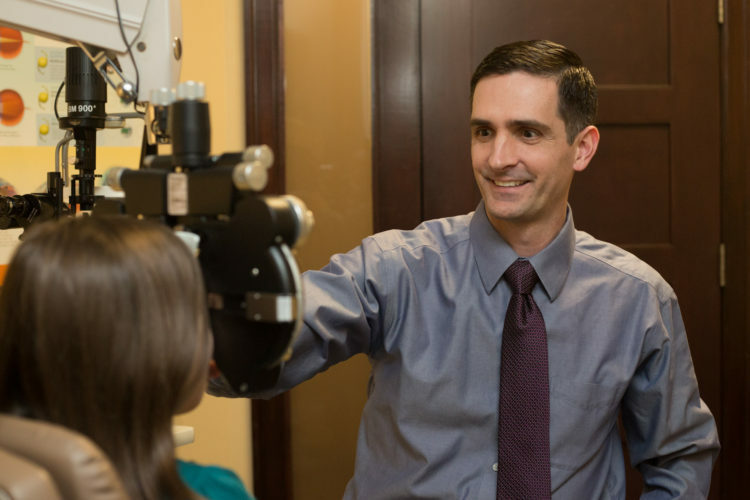 Through medical eye exams we are able to evaluate, diagnose, monitor, and treat various medical conditions involving the eyes such as cataracts, glaucoma, macular degeneration, dry eye, infections, allergies, diabetes, and many others. These exams are billed to medical insurance. The American Academy of Ophthalmology recommends a comprehensive medical eye exam even for asymptomatic patients beginning at age 40. The frequency of recommended eye exams depends on age and the presence of risk factors for eye disease. 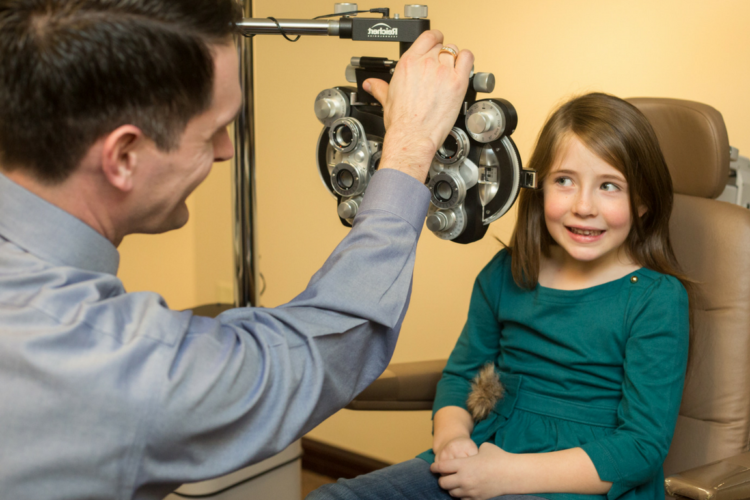 Vision exams are important for maintaining good eye health and vision. Like getting your teeth cleaned regularly at the dentist, or seeing your primary care physician even when you are well, you can routinely have your eyes examined to determine if you would benefit from glasses or contact lenses, update your glasses or contact lenses, and to identify any medical problems that may require further evaluation and treatment. 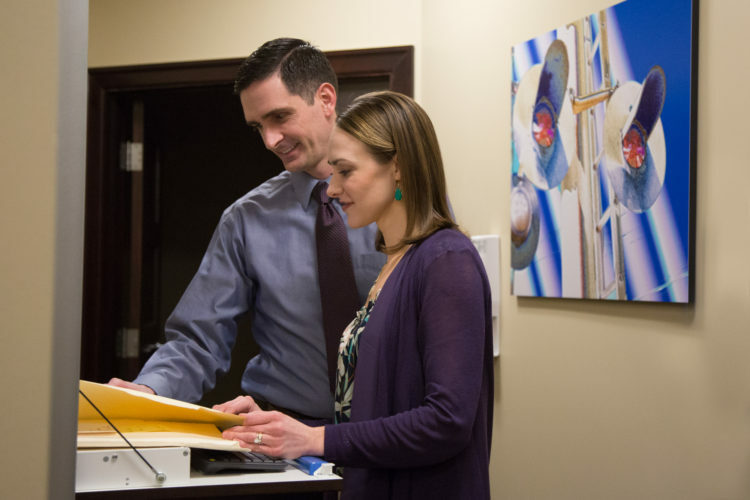 Dr. Allison Landes strives to offer her patients the most technologically advanced procedures available so that their surgical options are maximized and their post-operative visual goals are met. In addition to traditional cataract surgery, Dr. Landes performs laser assisted cataract surgery using the LenSx platform and offers premium intraocular lenses for those patients interested in decreasing their need for glasses following cataract surgery. She also performs the iStent procedure in conjunction with cataract surgery for qualifying glaucoma patients, who may be able to decrease or even eliminate their need for glaucoma drops. Through “one-drop” cataract surgery, Dr. Landes places a medication in the eye at the time of surgery so that only one prescription eye drop will be needed in most cases. Dr. Landes believes that patient education is a critical component of successful cataract surgery. She will thoroughly explain your options, advise you based on your lifestyle and goals, and walk you through the process every step of the way. Experience the healing combination of compassionate care and technologically advanced surgery. Dr. Allison Landes has been performing bladeless LASIK since 2011 and was one of the very first surgeons in the state to be certified on the WaveLight platform for the fastest and most precise bladeless LASIK procedure to date. Having undergone LASIK herself, Dr. Landes understands what a life changing experience LASIK can be. We invite you to schedule a complimentary evaluation to learn more. As a privately-owned practice, Landes Eye Associates partners with a select group of optical labs not available to commercial chains. We chose our partners carefully to offer you the highest quality products available while still providing budget friendly options. With over 900 frames to choose from (including the brands listed above), our optical department will ensure that you look and see your best. We accept VSP and EyeMed vision plans. Dr. Marc Landes has many years of experience fitting soft, toric, multifocal, and gas permeable contact lenses. We stay up-to-date with the most advanced contact lens technology and fitting techniques. Our wonderful ophthalmic technicians guide our new contact lens wearers through an insertion and removal class, and provide thorough contact lens care instructions. We stock many contact lens trials, and offer free replacements to all our patients who may tear a contact lens. We also offer competitive pricing, free home shipping, and significant discounts on 6-month and annual supplies of contact lenses. 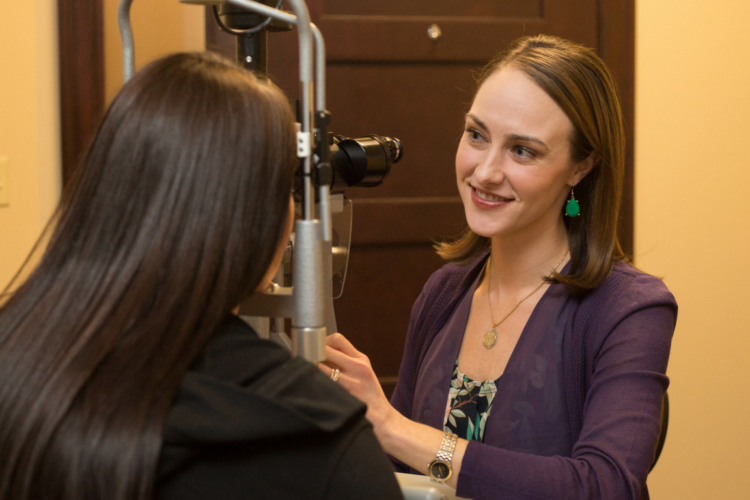 Dr. Allison Landes offers several minor eye and eyelid procedures that can safely and conveniently be performed in the office setting. Ophthalmologists were the first group of specialists to use Botox, decades before it was being used for cosmetic purposes. Dr. Allison Landes was trained in the administration of medical Botox in residency, which led to a special interest and further training in facial aesthetics, including Master Injector, by invitation only courses. She is an experienced injector of Botox, the Juvederm family of fillers, and Kybella. When she’s not performing eye exams or in surgery, she enjoys helping patients look their best – natural and rejuvenated. Come share her enthusiasm and experience her gentle treatments by scheduling a cosmetic consultation today, or by joining us at one of our special cosmetic events.